Tonight I watched the Ags rally together to win a football game in which they were trailing 21 points at half time. Indeed, the Duke team was very impressive the first half, but Manziel never lost faith in himself or his team mates. No matter what you want in life, attitude is half the battle. I've had writer's block for about 8 months now. I've never suffered like this before and while I open up my current WIP each night and manage a sentence or two, I'm not really writing. I need to adopt Manziel's attitude and his spirit for winning. I need to focus more. So - maybe this is sort of my new year's resolution but I think it's more. What Johnny taught me isn't anything new but an affirmation of what I already knew and just shelved for the time being. Time to unshelve the go-get-em attitude and make some serious waves on this story. That said, maybe I can give Manziel something in return, a reminder that education is more important than glory because glory can be short lived when you least expect it. Yes, I'm a huge Aggie fan and have been since I was a student there from 76 - 78 and perhaps part of me is selfish in wanting to see him stay and play two more years. But I'm old enough that it won't end my world if he does choose to go to the NFL. I will still cheer for the Ags no matter who plays. But as a teacher, I hope he chooses to stay for the education, for that degree, for the Aggie ring, for the diploma his mother will proudly frame one day. Yeah, now you all know a little more about me. I regret that my degree isn't from TAMU but at the time they didn't offer art and it was the only thing that seemed to catch my interest. If I'd known I would one day become a writer also, I would have stayed for a degree in English or History but I don't regret being an artist and a teacher. Going to TAMU for the first two years gave me so many wonderful memories. I was really proud of all the players tonight (including the Duke players). They showed the real spirit of what it means to be a team. Whoop!!!! 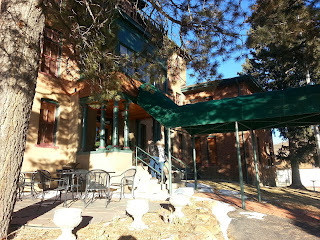 We spent four nights and four days at the lovely Hotel St. Nicholas in Cripple Creek, Colorado. We had a second floor room but my son spent the night on the third floor. He was the only one of our extended family who had an encounter and though both can probably be argued, I'll opt for the fact that he did indeed get visited. On the first night there, he woke around 4:30 AM to the most horrid sulfur smell. (We joked that he was just smelling himself but he assured us the odor was outside the sheets.) My daughter looked it up online and indeed one of the signs you've had an encounter is a horrid odor. The next day, he went into his room, shut the door and went into the bathroom. When he came out, his door was wide open. The rest of our family swears they did not try to play a trick on him. St. Nicholas was originally a hospital built by the Catholic Sisters of Mercy in 1898. There used to be an underground tunnel connecting the hospital to the nearby church so the nuns could travel to and from during bad weather. (Indeed, it was cold and snowy when we arrived.) The building served as a hospital until 1972. In 1995, the structure underwent major renovations and decoration to become the historic Hotel St. Nicholas. The Hotel is said to be inhabited by two friendly but mischievous spirits and one unidentifiable anomaly. One is said to be that of a young boy, Petey, who is thought to have been an orphan who was cared for by the nuns. The other is a miner, known as "Stinky" who frequents the office area or back stairway. You're supposed to know you've been visited by him by his awful, sewer-like odor. I do believe he paid a visit to my son. It took a comment on one of my Amazon reviews to spur me to action but I'd always intended to create new covers for self published books. 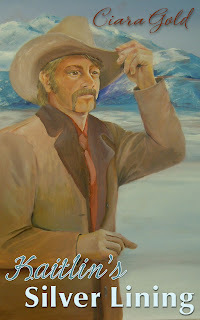 It's just at the time of publication, I could find nothing that suited me, so I painted my own. I'm going to keep the cover of Sarah's Brass Token as is as that one holds special meaning. However, the rest all have new looks. I admire Jimmy Thomas and the work he does, but I felt like I had more variety with Hot Damn Designs. The hardest part for a historical western romance writer is finding images where the cowboy is dressed in period clothing. I think I may shoot them both a note with regards to this. I also had a difficult time finding a male cowboy model with red hair for Eliza's Copper Penny. I figure for this cover, there's enough shadow that hides the model's true hair color. One would think the stock photo sites would offer writers more choices when it comes to models for our covers. On the other hand, I'm so very glad they do have sites and images for our use. 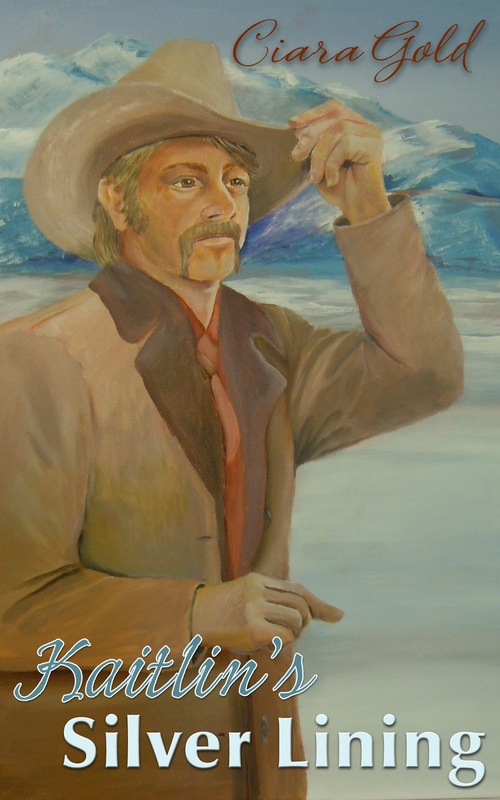 Lyn, I had the pleasure of reading the first in your Texas Devlins trilogy and thoroughly enjoyed it. That said where did you come up with the idea? First of all, thank you so much for having me here today, Ciara. I’m glad you enjoyed Darlin’ Irish, book one in the trilogy. The idea for the heroine, Jessie’s clairvoyant ability grew out of my own prophetic dreams years ago. As you might guess, that experience stuck with me, so when I chose to include a paranormal element in Jessie’s story, it was a no-brainer to give her dreams and visions of future events. From there, I decided she and her two siblings would be descendants of a secret line of Irish Celtic Druids, from whom they each inherited a unique psychic gift. How did you get your start as a romance writer? Well, I have always loved reading historical romances, and years ago I decided to try writing one. After many false starts, I finished the first version of Darlin’ Irish, joined Romance Writers of America and a local chapter in North Texas. Urged on by other authors, I submitted my manuscript to a New York publisher. It was rejected. I re-wrote it, did a lot of cutting, and signed on with an agent. He sent my baby off to several publishers. One kind of liked it but none bought it. I wrote a sequel, Dashing Irish, under a different title (I hadn’t yet added the paranormal elements) and went through the whole process again. This took place over a period of years, since I’m a slow writer and publishers are also notoriously slow to reply. Growing discouraged, I pretty much gave up writing for a while. Then Amazon started their Kindle Direct Publishing program. My friend and critique partner, Sharla Rae, nudged me in that direction and in November 2010, I self-published my first book. I’m happy to say it received some great reviews, and I’ve now published a total of six books. Can you describe your “writing cave”? LOL! My cave is mobile since I work on a laptop. Often, I park in my recliner in the living room; other times, when I want peace and quiet (my husband loves to watch TV) I move into our bedroom and set up camp on the bed with papers and research books spread out around me. Mind you, I do have an office with a nice big desk and shelves full of books, but since getting rid of the old desktop computer, the office just isn’t “home” anymore. What can readers expect of you next? So glad you asked! I’ve started a new series title The Scrolls of Danu. It’s contemporary rather than historical, but again features a paranormal theme. The series will consist of nine or ten short books, each a separate story, yet bound together by a larger ongoing plot. I had hoped to have the first book out by now, but four trips within the past few months and promotional efforts have bogged me down. It now looks like Beyond the Darkness (book one) may hit the virtual shelves in mid November. I hope! Do you work on more than one project at a time? Not as a rule until, but I do have three books in the new series going at the same time now. Just for fun, which do you prefer most and why? Popcorn and a football game or a picnic by the lake? Picnic by the lake, definitely. I’m not much of a sports fan, although I do love popcorn. Please share with readers an excerpt from your most current work. Love to! 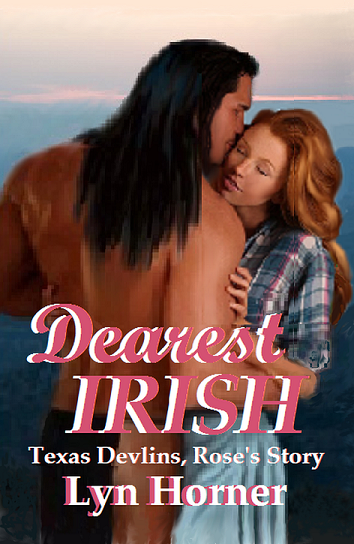 This is an excerpt from Dearest Irish, Texas Devlins - book three. Setting the scene, Choctaw Jack has kidnapped Rose Devlin from her brother’s Texas ranch. He knows of her ability to heal with her mind and is whisking her north to the Indian Territory, hoping she can save his dying mother. Rose regained her senses slowly. Feeling herself rock to and fro, she groggily recognized the loping gait of a horse beneath her. But how could that be? She forced her eyes open, taking in the starlit sky and the dark landscape passing by. Blinking at the sight, she realized she was seated crosswise on the horse – in a man’s lap. Just like that, the scene in her bedroom with Jack came back to her, and she knew whose chest she leaned upon and whose arm was locked around her. Panicking, she cried out in fright. Pain lanced through her jaw, reminding her of the blow her teacher-turned-abductor had delivered just before she’d sunk into oblivion. “Oh. Well, don’t be calling me that again. Now turn this horse around and take me back,” she again demanded. “Enjoy the ride, is it? You’re daft!” She pushed at his steely arm and attempted to twist free, but, although his hold caused no pain, it was unbreakable. Feeling smothered and panicky, she shoved at his chest, managing to create a small space between them. Before she could reply, another man’s voice sounded nearby, speaking in an unfamiliar tongue. Unaware of his presence until that moment, Rose uttered a frightened cry and instinctively shrank against Jack. His arm tightened around her for a moment. He said something to the other man then spoke softly to her. “Yours! I’m not yours!” she shrilled, once more stiffening against him. Twisting her upper body and craning her neck, Rose caught a glimpse of the other Indian’s shadowy form. He rode near them and, unless she was mistaken, he led another horse. “What did he say?” she warily asked. “He said you screech like an owl,” Jack replied, a grin in his voice. Sugar? Did he think her sweet? And what if he did? It made no nevermind to her. Snorting in disdain, Rose squirmed uncomfortably in his lap. List a link for your book, any other links where we can find you. How 'bout the word - CUCURBITARING? A mouth full isn't it? It means to decorate with pumpkins or other gourds. So I found a new blog the other day that tickled me pink. I was looking for SAT words to use as prompts for my studio AP art kids when I stumbled upon A Lackadaisical Lexicon for Laggard Logophiles. This site specializes in words we rarely use anymore or maybe words that are only used in special settings. Anyway, I discovered that a lot of the words, while still in the dictionary, are pretty Victorian and no longer used in contemporary dialogue. For those of us that like to write in the historical genre, I think this will be a great resource for making our Victorian dialogue more authentic. Clearly, we used the words at some point in history and while this particular site doesn't go into the etymology of the word, one can probably do a bit more research by using the etymology dictionary to discover if the word was used in the time period for which a writer needed it. I also love that this site has art associated with the word. I'm almost through with The Rose of Moon Haven, the sequel to The Keeper of Moon Haven. 83,000 words so far and I think I finally have an ending worthy of the rest of the story. Folks usually think the middle is a problem and often call it the "sagging middle" but not me, no, for me the ending always gives me fits. I think it's because I hate for it to end and I don't want to say goodbye to my characters. Even so I'm excited to be done so I can refocus my energy toward another historical western. Usually by the end of a summer vacation, I've got a new story finished and reading to edit. This summer I dragged my feet. Oh, I did write - some, but not enough and not like I should have. On a brighter note, though, I'm almost finished with the sequel to The Keeper of Moon Haven. Now that school is about to start and I have to go back to work, I feel this push to get that story done. It's only taken me five years to write. Wow. I think the shortest time it's ever taken to write a story was three months and that was Texas Forged. It took about five months to write A Noble Sacrifice. The rest have taken on average about a year to complete. Sounds like a great title for a B movie sci-fi flick. Ah, if that were only so. Nope. Instead, my website was attached by a malicious visitor. They attached a virus to pieces parts of my website so that when ever anyone visited they would then be infected with the malware. First of all, I use GoDaddy.com and they've been great to work with. If not for them, I probably would have been blissfully unaware of the problem. Needless to say, I got an e-mail from them regarding my site. I went to my site and lo and behold, my anti-virus program stopped me from going any further so at that point, I realized I, indeed, had a nasty virus and not the kind that can be easily dealt with by taking aspirin and vitamin C.
Arggggg. Okay, after saying a few choice words, I promptly called godaddy. The first thing we did was reset passwords for both my user account and my ftp. I also arranged for their security guys to do daily probes of my website to help insure this doesn't happen again (oh, at a minimum fee but I felt the cost was worth it). Anyway, I spent all day Friday trying to figure out where the evil code had been installed on my website but as I know just enough to be dangerous, I couldn't find anything suspicious on my main pages. I did, however, have a ton of files that were out of order and not necessary so I figured I'd clean up the site first and go from there. The next day I got a more helpful e-mail from godaddy and one of the tips they had was for me to do a google search using the phrase "what is the status of www.ciaragold.com". I did and the google search showed warning labels on three of my pages. In so doing, it told me where to search. So, once again, I went into my site and cleaned house some more. I got rid of all my pdfs (as this was the source of most of the malicious stuff) and I have disabled my links page as this was another area of concern. Now, the real question is: how long will it take before google allows folks to go back to my site? And was I able to get it all. So - advice to those of you that maintain your own websites. Change your ftp password often. If you don't really visit the site very often or make changes very often, I suggest a sitescanner service. I don't know how this person found me, but ....they did and if they found me, they can find you too. It's been a while since I've been in a critique group and I miss that comaraderie shared by those with a common love of writing. Needless to say, I'm in a newly formed group. As we're all established authors, this group isn't as chatty as I'm used to, but that's fine. What they are is very talented. Sure, I can probably get by without critiques but my writing won't be quite as sound. Let's face it, once you've committed the thought to paper, it's hard for the author to see the small problems that the reader might encounter. Your work always needs fresh eyes. That said, one of my new critique partners read through a first chapter I'd written and commented on my use of the term clog. To be quite honest, I'd found a reference to some 1870 style shoes in which it was common for women to wear "mules". I also found a reference to clogs. The mules look like bulky slippers and can be rather elaborate. The clogs are less frivolous and more serviceable. Mules typically didn't have a back at the heel whereas the images I found of clogs could have a back or not. When someone calls them slippers a more dainty image pops in mind. I'd used the term clog and slipper interchangeably and I could see her confusion. Quite frankly, part of the confusion was mine. I hadn't yet cemented in my own mind what that shoe might look like so I began some more research. What I discovered were wooden clogs. Now why would that work in my western story? Wooden clogs are typically Dutch, after all. There was a brewery in Odgen, Kansas that was run by a German imigrant. His workers wore wooden clogs while working in the brewery. My story begins in Dodge City, Kansas and so I think it quite feasible for one pair of wooden clogs to journey from Ogden to Dodge. Too fun. Finding this jewel of information led me to an idea for my story, one that I hope will enhance the imagery I'm trying to create. Things like this are a writer's spice. A huge thank you to my new critique partner for setting me on this course of investigation. 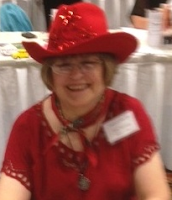 Congratulations to Quilt Lady for winning a kindle copy of Texas forged. She visited my blog Wednesday and commented on Charlene Raddon's new release, the Scent of Roses. Quilt Lady, I have your e-mail and will be sending you a gift card soon. Thanks to all who visited and commented. The purpose of this blog hop is to promote Charlene Raddon’s latest release, The Scent of Roses, as well as the work of each of the participating bloggers. Be sure to read to the end of this page so you don’t miss out on the grand prize. Also be certain you visit each blog and comment to qualify for the individual giveaways, and the big prize. 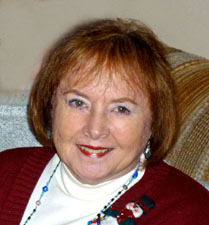 Charlene Raddon has been writing historical romance novels for over thirty years. Her work has won several awards and much well-deserved praise. Here is what she has to say about her newest release. Any day when a new book is released is exciting for the author. 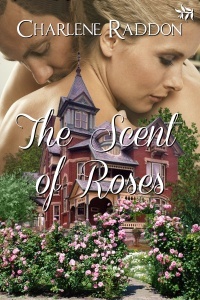 I’m thrilled to announce that my eBook, The Scent of Roses, is now available. The Scent of Roses is a sequel to my last eBook, To Have And To Hold, but stands alone and does not need to be read in order to be enjoyed. Whip Kincaid, from The Scent of Roses, is the half-brother of Buck Maddux from To Have and To Hold. Whip also has a twin, Cale, who readers met in Buck’s story, which gives me an excuse to write a third book for this series. 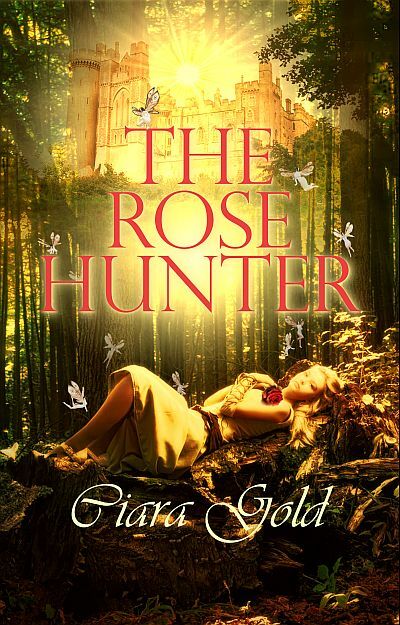 The added touch of paranormal elements made The Scent of Roses a fun story to write. Who doesn’t enjoy haunted houses with hidden passageways? When I first moved to Utah, I lived in this house. No, there weren’t any secret passageways, but in every other way, my description of the old house is accurate. The third element new in this book is the subject of polygamy. Whip is innocent but to prove that, he needs to stay out of jail. He hides in secret passageways in the old house he and Josiah shared. Smythely, the elderly butler who came with the house, is the only other person aware of the passageways. Lurking between spiderwebbed walls and using the abundance of peepholes provided allows Whip to keep up with what’s going on. Sneaking out at night allows him to investigate. He’s particularly interested in Rosalyn Delaney, and for more than one reason. Besides being attracted to her, he’s sure she knows something about the murder. I hope you enjoyed this peek into The Scent of Roses. Find it here, at Amazon.com. BE SURE TO LEAVE A COMMENT WITH CONTACT INFORMATION. AT THE END OF THE HOP, A NAME WILL BE DRAWN FROM THOSE WHO VISITED AND COMMENTED AT EVERY BLOG. PRIZE IS A $45 GIFT CARD FOR AMAZON OR B&N, WINNER’S CHOICE. Other bloggers are also offering giveaways so make sure you hit them all. 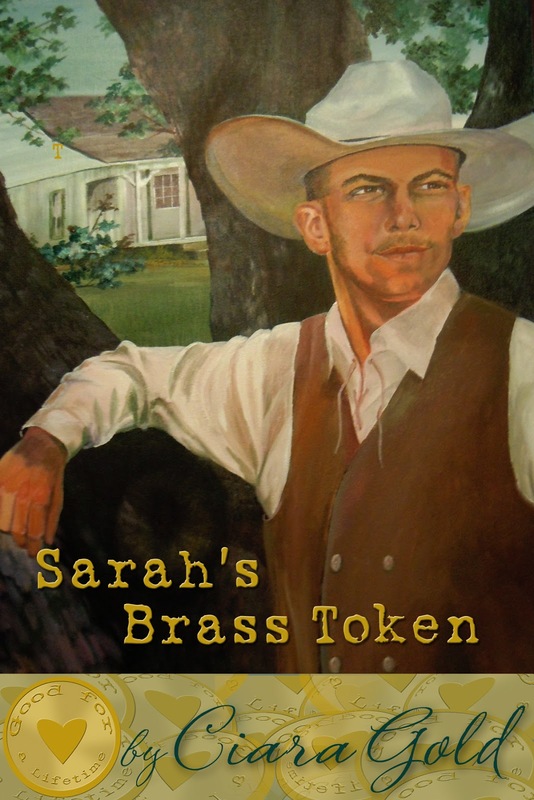 For those that comment here, I'll be giving away a kindle version of Sarah's Brass Token. Striving to make ends meet after her brother is hung for murder, Sarah Jones is determined to make it on her own. After losing everything to war, Tabor Nolan yearns for family and a home. A chance meeting with Sarah prompts Tabor to make decisions that threaten her independence. Will she allow this stranger into her life and into her heart? 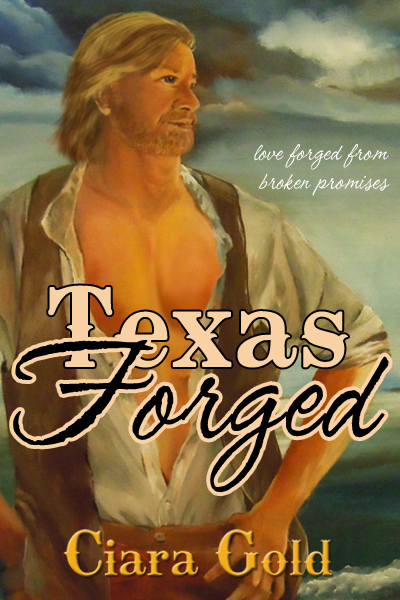 Please visit Charlene's Blog to learn more about Texas Forged and to be entered in her giveaway. Today didn't start out as I'd planned. Being the first day of my summer time off from teaching, I hoped to just relax and do nothing but fate had other plans. Today, I watched a house burn to the ground. We had a terrible storm strike around 5:00 AM. The wind noise alone made me think tornado. I woke off and on but crawled out of bed around 6:45 to feed the new kitten. That's when I became aware of a different noise. Fire engines. I think there were four fire engines, two ambulances and two police cars blocking the cul-de-sac that tees into the street I live on, in fact, joins right at my house. Four houses down, a fire blazed, shooting into the sky at least 8 feet above the roof line. I hurried to dress, slapped food on the cat's plate and dashed out the door. Another neighbor met me outside and gave me what details she knew. I was relieved it wasn't our rental but I was saddened to discover it was the home of my son's best friend. When I saw our renter outside, I walked down the street to visit with him and to make sure the house was not in danger, all the while, consciencious of the many workers trying to control the blaze. My husband arrived home from a weekend at the lake as he's kind of the neighborhood caretaker. Whenever there's a problem, they call on DH and today was no exception. His phone lit up about 7:00 AM and the news brought him home an hour later. He called the folks that own the home as they were on vacation and from that moment on, he relayed information to them. Those tireless firefighters were incredible. They worked on that house until about 11:00 AM. They intended to leave as there were two other major fires in town but just when they thought it was all under control, the fire started again. They stayed until well after noon and then came back three more times to check to make sure it was out for good. Needless to say, the family lost everything. What caused the fire? The wind was so high, it broke a tree limb that fell and caught the power line. It broke the weather vein and shorted out the main line to the breaker box. The experience, though, has taught me many things, things I already knew but didn't take as seriously as I should have. I need to do a serious inventory of my house and place it somewhere safe like a safe deposit box. I need to clean, to weed out unecessary stuff. The fire fighters can't do their job properly if they can't navigate through each portion of the house. I need to contact my insurance agent soon to make sure we have enough coverage. We have a date with the tree trimmers to eliminate the potential for breaking limbs. I plan to find a spot in the house for extra keys to vehicles that can be easily reached in the event vehicles need to be moved. I plan to review my evacuation plan. I plan to unplug all unecessary electrical objects. So I'm looking through some old blog posts and I found one that had me chuckling so I thought I'd share. It has nothing to do with writing but it will give you a glimpse into the real me. This was posted in May of 2008 when I was part of the Magic Mavens. It's all about my fear of cockroaches or waterbugs. And yes, I still have a healthy dislike of the critters. The image below is from Wikipedia. EWWWW. We all have our little fears. Some are sillier than others I suppose, but one of my biggest fears is the cockroach. My DH finds that terribly amusing because I'm so big compared to the brown bug. However, they just gross me out. I always have to call DH to come kill the darn things whenever I come across one. I think it has to do with a childhood experience in which a junebug crawled up my slip. I couldn't strip fast enough. I know - junebugs and cockroaches aren't really in the same league but .... Then there was the time in our first home when I was literally attacked three times by cockroaches. They fly and the first one flew off the ceiling to land on my chest. It landed hard enough to awaken me from a dead sleep. I sat up, screamed, woke my DH, woke the cat and preceded to go on a cockroach hunt as I wouldn't be able to sleep until it was dead. No worries, mission accomplished. So - I go back to sleep only to wake up to the same exact thing happening. After taking care of the second attack cockroach, I fell into a fitful sleep. Sure enough, another one started to fly about, hitting the side of the wall. That was it. No more sleep that night. I'm not talking your small house roaches. I'm talking those giant waterbugs. Creepy. So - last night, I get up to go to the bathroom and as I push open the door, there it is, on the edge of the door. The biggest, yuckiest cockroach I've seen in a long time. I freeze. Finally, I close the door ever so gently. I don't want the bugger flying at me. I do my business, keeping a watchful eye on the beast, but when I'm done, I'm faced with a dilemma. If I open the door with the light on, I'll wake DH. No way am I going to turn the light off first and then open the door because that will give the waterbug a chance to move in my direction. I can't swat him. The sound will wake hubby. I know - you're thinking that it didn't stop me from waking him that other time, but he had to get up at 5:00AM for work and he hadn't slept in three days. Nope. I'm NOT going to wake my husband. And of course, there's no spray in the cabinet. Oh, but wait. There is spray -- hairspray. So, I very cautiously pick up the hairspray, aim and squirt. Well, it didn't kill it, but at least he moved in the opposite direction. Well hidden beneath a towel, I was able to skirt around him, turn off the light, open the door and run for the bed. I fell into a light sleep only to be awakened by the cat. She was amused by something and chased it about the room for a good hour. I only hope she got the bloody beast. 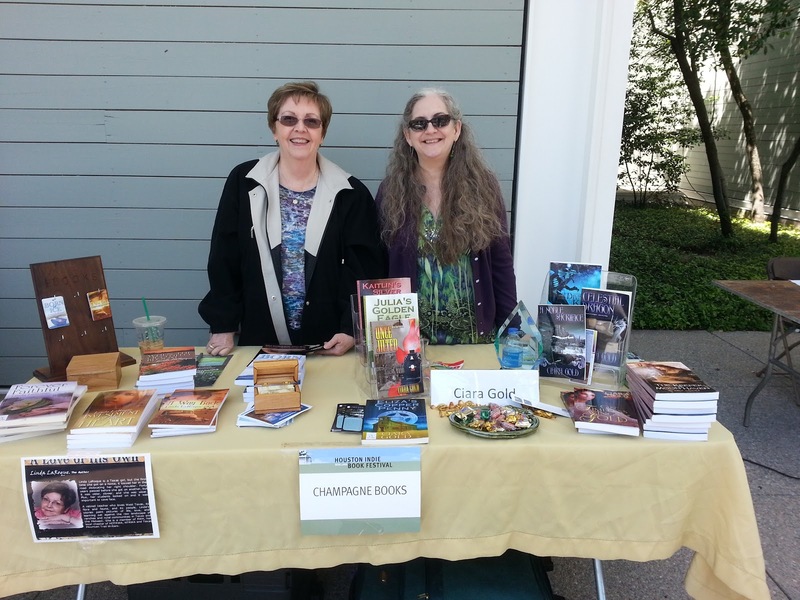 I've done several book signings in the past, all with varied success. My usual operating procedure is to have my Eppie Award on display, provide bookmarks to pass out, offer a variety of candy and sell my books for $10.00 each. I buy my books from either Lulu.com or Amazon.com at full price. I usually buy from Lulu when they are offering one of their sales as this generally covers the cost of postage. The reason I purchase at full price is so it will show in the count for my publisher or on Amazon. When I get my royalty for the sale, it makes the book less and fairly close to what I would have paid had I gone through my publisher. This weekend, we had a great turn out of the Houston Indie Book Festival. In a split decision, I changed gears. I sold my books for $5.00 each. Had I not set the price so low, I would have only sold maybe 3 but probably only 2. Most stopped and took a second look when they were told the price. I took a loss for each sale but ... I don't spend any money on promotional geegaws that most folks end up throwing in the trash. In my mind, the difference equated to promotion. I always say, "one reader at a time." I'm hoping for a domino effect. If they read it and like it, they'll buy more. Most of the readers who bought, claimed they did not own an e-reader and preferred to read paper. They wanted to know if they could purchase more of my paperbacks from a bookstore. I directed them to go to the publisher's webpage or Amazon. For the readers who didn't buy today, they went home with a bookmark and information and a reminder that first chapters were offered for free through my website or through the e-book providers like Amazon or B&N. I actually had 4 times the amount of traffic I usually have to my website. Well it's been forever and a day since I posted here mainly because school has kept me very busy and I've been writing! Yay me. I have over 70,000 words now for the sequel to The Keeper of Moon Haven. My goal is to have the rough finished by the time I get out of school. That will give me June to polish and submit to my publisher, Champagne Books. 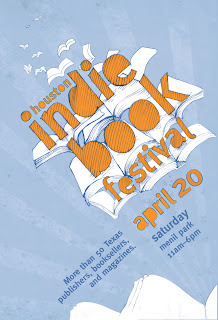 In the meantime, I'm going to be signing books at the Houston Indie Book Festival. So excited. It's been a year since I've done a book signing. And I get to join forces with fellow Champagne author, Linda LaRoque. So, y'all come out and say hello. Would love to meet new friends, authors and readers. I confess. It takes longer for me to absorb new things than it used to and yep, I had quite a learning curve in trying to get my ms ready for publishing with createspace. You'd think it would be pretty easy all things considered but ... I found the most difficult part was embedding my fonts. My programs kept saying they were embedded while the createspace reviewer claimed they weren't. 1. I chose the 5 x 8 size as this size to me looks best and is easiest to hold. But that's just my opinion. So the first order of business was to go to page layout and select page size. Make sure to click "for whole manuscript"
2. I then had to choose margins. So yeah, that was a bit of trial and error. They assume in their discussion that folks will understand it all. Basically, they need at least .25 margins for top bottom and sides but they want a .75 margin for the inside fold. That said, I made my margins .4 all around. The gutter was then set at .35 because when you add .35 with .4 you get .75. Click "mirror" margins and you're good to go. 3. For the header - click different for odd and even. On one page put your author name and the other page, your title. Use center alignment and choose a gray font color. There is also a place where you can put in how far the header is to the top of page. Even though you set your margins, you'll need to set these as well. They seem to work independent of each other. 4. You can also set your page numbers and again, set the margin for their placement as well. 5. Scroll through and look for any blank pages and delete those you find. Also look for inconsistencies in where your chapter name falls on each page. 6. So here's where embedding fonts gets tricky - well, at least for me. You can embed them when you save your word doc. If you click on the file button, you'll see "word options" on lower right. Click that. Now click on "save" and at the bottom of that menu you'll see a box that says "embed fonts." This won't work for all fonts, FYI. 7. At this point I had two options for making the pdf. Createspace wanted PDF/x which meant I had to use Adobe Acrobat Pro as word didn't have that option. I found how I could check to make sure the fonts were embedded and uploaded and of course, Createspace says my fonts aren't embedded. Ugh. I uploaded until I finally gave up and let them do the embedding. On Friday, I should be getting a proof of Texas Forged in the mail. I already have a digital version but I wanted to see the physical version first before I gave it my blessing. Whoop! As reported in an earlier post, I like to hang out at the western forum at Amazon. One of our members likes to issue writing challenges where we have to include a list of words she's given us. I missed the challenge in February so this example includes February's words along with those she just issued. My story is a continuation from December and January. Since this is a writing exercize, it's unedited. Also, there isn't a lot of extra flavor that a more fleshed out story might have but I'm thinking this just might be a good beginning to another novel. Time will tell. In the meantime, I hope you enjoy. But before you read the contination to the story, you might want to refresh your memory to the beginning of the story. You can find it here. A knock summoned her to the front door again. He continued to stare at the painting until raised voices averted his attention. Backtracking through the parlor, he rounded the corner and stood just behind Tuesday. A cloud of dry dust followed the conveyance’s hurried exit and Cheyenne wondered anew just what he’d gotten involved in. A woman wanting a hurried wedding did so for several reasons; she needed a father for an unexpected baby, a groom to satisfy some sort of stipulation in a will, or maybe a rich husband to save the family homestead. He couldn’t picture any of these reasons forcing the spitfire before him to marry a complete stranger. “Partially but no.” She heaved a sigh and marched past him to the parlor once more. Curiosity made him follow. “My lucky day.” How in the hell had he landed on this prime cattle land with a readymade family and debts to be paid? He’d have been better served to follow his brother, Cherokee, to Arizona where a job awaited him as a ranch foreman. Instead, he’d had a hankering to settle in Texas. While he couldn’t deny wanting the land, the little ones were another matter. As for the debt, the land could probably pay for itself with the right management. But even as these thoughts formed, he felt lower than a grub burrowing under a root. How could he benefit from another’s death and live with his conscience? He studied the scarred coffee table, the mismatched chairs and the cracked globe on the lantern. “I think I’m ready to be shown a room now. After a bit of rest and some grub, we’ll discuss the upcoming nuptials.” If ever a family needed help, it was this one. And darn if he wasn’t about to marry Tuesday Henshaw. It was, after all, the chivalrous thing to do. So, I did a little more researching and basically, Amazon was losing money with the model the way they had it. The larger websites that offered a listing of free books earned money when folks also bought items within 24 hours of customers downloading a free book. They got a percentage of the profit made. “Associates who we determine are promoting primarily free Kindle eBooks and meet both conditions below for a given month will not be eligible for any advertising fees for that month within the Amazon Associates Program. This change will not affect advertising fees earned prior to March 1, 2013. It will definitely affect the larger websites who list freebies. I loved browsing through EreaderIQ. However, I did find a new-to-me site that lists free books in a way that's even easier to navigate than EreaderIQ. The only problem is it's not as well known. I'm sure there are others as well. All I do know is that trying to do a direct search on Amazon yields a list that's not user friendly. And yes, I do expect that this new change will make it harder for folks to find the Indies. I'm fortunate that I began my publishing career in 2006 with a small press out of Canada. All but my historical western romances are published through Champagne Books. And while it's been tough to find creative ways to get the word out about my books, I've managed to build a small fan base. I can't even imagine beginning a career today. With so many writers wanting to make their mark, you have to shout pretty loud to be heard. 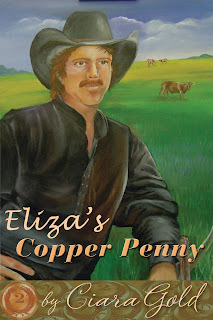 And yep, Eliza's Copper Penny is still free today and tomorrow. Please note, I'm offering a FREE book at the end of this article. Amazon has a program that most Indies take advantage of to help boost sales. If an author enrolls their book in the kdp select program, the book becomes available to prime members to borrow for free. In turn, the author will make a small amount from money Amazon has set aside. Alas, the author splits this money with all the other authors signed up and it all depends on how many books are borrowed. But - by doing this, the author has 5 days they can use to offer their book free to the rest of the reading public. Before March 1, there were websites that listed these free books and made it easy for readers to find these new authors. I believe websites that offered this service made money when readers also bought products using product links on their sites. Offering the book for free and having it listed for folks to find really helped readers connect with an Indie or self-pubbed author. It helped get Texas Forged out there for folks to find. However, as of March 1, Amazon no longer allows these websites to list the free books. If you do a search for "free" books through Amazon's search engine, you get the books that have never been offered at a price other than free. And there is no way to search for books by the date they were offered for free. You have to click through each page until you get to the end of 68+ pages worth of free and not all of these are free. Granted, an author who wants to make writing a career should find creative ways to promote in order to let the reading public know the book is out there. But let's get real, there are way too many self-published authors to count. And then there are the smaller publishing houses. Most of those have been able to make their "mark" on the reading public and are in a better position to compete with what used to be known as the Big Six (though it's now twindled down to the Big Five). So - there are two rules of thumb. Either give away work in hopes of snagging a new fan or never give away your work as it has the potential to diminish its worth. Me, I write because I have to and I publish because I might as well. I want folks to get the same enjoyment out of reading my stories as I get from writing them. With that in mind, I want my work to matter. I want it in the hands of as many readers as possible. That said, today, tomorrow and Friday, I'm offering Eliza's Copper Penny for free through Amazon. I'm hopeful folks will be able to find it as Amazon isn't making it easy to find. And because they have made it hard for folks to find my books, once my term is up with the select program, I won't be participating any longer in the program. On a brighter note, I'll be able to place my five self pubbed westerns at other places and that's a good thing. So I finally got the last in the series finished and uploaded to Amazon. And I'm rather pleased with this cover. I think this summer I might have to redo two of my covers but for now, at least the books are all available. Kaitlin's Silver Lining features one of Julia's brothers. Julia makes an appearance in Sarah's Brass Token and is the heroine of Julia's Golden Eagle. Kaitlin Kanatzer receives threatening letters that promise dire consequences if she doesn’t stop her suffragist activities. Bent on solving problems on her own without interference, she blocks every attempt Bryce makes to help her. Can she abandon her convictions and open her heart to love? Bryce Stanton is at his wits end in dealing with his new responsibility. When he becomes guardian to an eleven-year-old hoyden, he seeks help from the girl’s aunt Kaitlin, never realizing the danger he must confront. Through many trials, he discovers more than a desirable woman; he discovers his equal. I was never very happy with the cover I did originally for Julia's Golden Eagle. I just didn't nail the proportions mainly because I used three different photographs as resource. So -- I asked my husband to pose for me so I could tweak the proportions. I'm much happier with the results. I thought it might be fun to take photos of a work in progress. I'm determined to get Eliza's Copper Penny up on Amazon within the week so I started working on the cover painting yesterday. I started by asking my husband to pose so I could have a picture of the body. I kinda messed up the proportions on Julia's cover so I knew I needed to start with a much better photo. 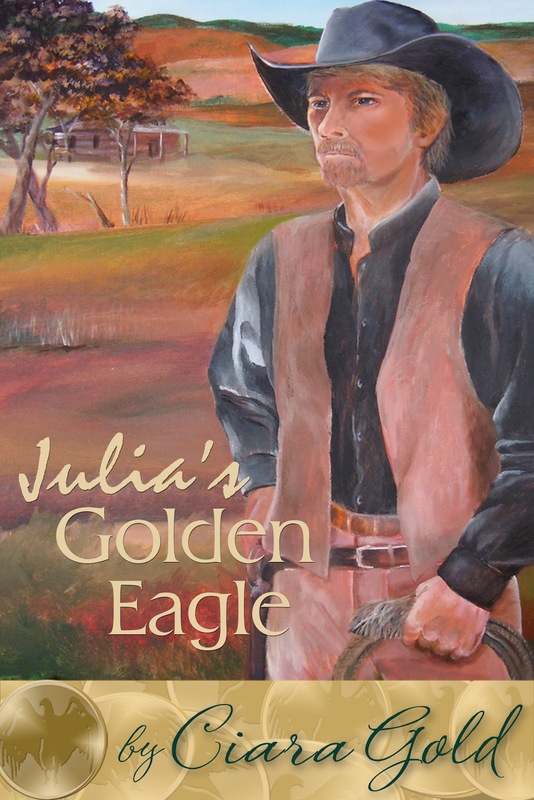 Julia's Golden Eagle was made up from a whole bunch of images. Oh well, it still works but I knew I could do better. Anyway, here's the start in progression. After sketching it first in chalk, I start by doing the background. I eventually ended up with the hat too tall so I had to add more sky. Bummer but it's okay. Anyway, I worked on the face next. I sorta did this from my own imagination and my husbands photo and ended up with a hero that looked a little like my son and a little like my very first boyfriend. I didn't want the shirt to be all black so I added some reds in it. The shirt took the longest to paint due to the folds. And the black I used was old so a bit sticky. It spread nicely as long as I had white to go with it. I love the immediacy of acrylic but I think I could make it look more photo realistic if I used oils. But I'm still happy with the result. For the various coins, I've been using photoshop. I didn't want to use the real thing as I though just a vague idea of the coin would be better. I'm hoping each book will also have a sense of the various seasons. This one is for spring, Julia's Golden Eagle is for Fall and Sarah's Brass Token is for Summer. When I get around to doing Kaitlin's Silver Lining, I'll try to capture winter. As that book isn't as tightly connected as these first three, I'm not in as big of a hurry to get it out. With my schedule, I'm hoping for March when I have spring break to work on it.